The Goddess represents a divine spirit that is as old as Earth herself. She is the source of all creation. When you call on her, she will help you draw from her infinite power and wisdom to create a brighter, more loving life for yourself. Goddess Bless! begins by exploring the different forms and names the Goddess has taken around the world and throughout time -- Kali and Kwan Yin, Aphrodite and Artemis, Inana and Maeve. The Goddess as we know her often follows the stages of life -- Maid, Mother, Crone. Goddess Bless! couldn't be more practical -- or more needed. Knight has collected blessings and prayers that have been passed down for generations. 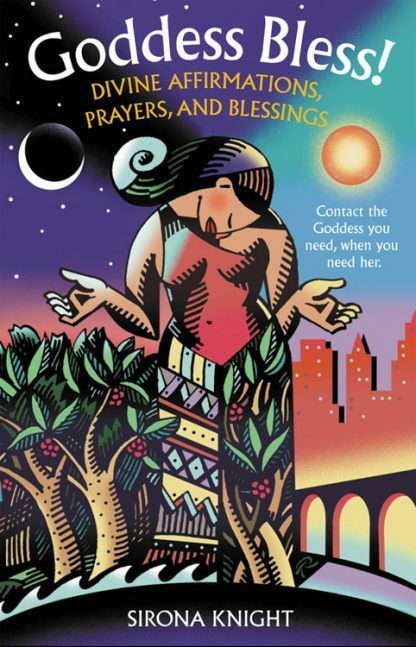 She combines them with contemporary, specific affirmations and prayers she's created to help readers call on the Goddess's wisdom and energy to achieve their goals. With tools to inspire and heal, Goddess Bless! will appeal to women of many religious and spiritual traditions and couldn't be more timely.